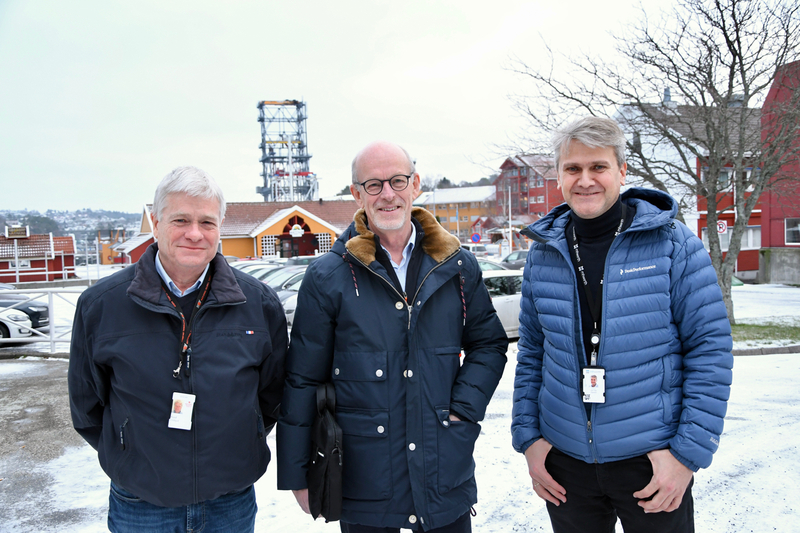 Left-right: Frithjof Ruud, Leif Haukom and Jan Ole Opsahl are pleased with the changes in regulations for mobile installations on the Norwegian Continental Shelf. DNV GL is no longer the only classification society for mobile offshore installations on the Norwegian Continental Shelf (NCS). “This simple change will reduce costs for floating rigs in Norway,” says Frithjof Ruud, Senior Quality Engineer at National Oilwell Varco Norway and a former member of the GCE NODE Standards Committee. A new piece of legislation was passed just before Christmas and came into effect on January 1, 2019. It states that three international companies are approved to do classification of mobile offshore installations in Norway: DNV GL, American Bureau of Shipping (ABS) and Lloyd’s Register of Shipping. “Prior to this change, DNV GL was the only company allowed to approve mobile offshore equipment on the Norwegian Continental Shelf. Thus, equipment that was approved by other leading companies for operation in other waters, had to be re-classified by DNV GL before being deployed on the NCS. Allowing more classification companies to operate in Norway helps standardize the offshore sector,” explains Ruud. “This will simplify processes and reduce costs for mobile offshore installations. As suppliers, we are now able to put together a drilling package with standard elements that are already approved by DNV GL or ABS”, says Jan Ole Opsahl, Specialist at MHWirth and member of GCE NODE Standards Committee. For years, Ruud and Opsahl have worked relentlessly to standardize the oil and gas industry. Ruud has represented GCE NODE in The Norwegian Oil and Gas Association’s Standardization Network, which comprises operators, rig owners and the supply industry. NODE is involved in the network project Identifying cost driving factors related to drilling and well area, in which supplier companies discuss and identify different segments within the drilling and well area where company specific specifications might represent cost driving factors. Based on the work already done, a joint-industry-project headed by DNV GL, called READI, is taking the simplification of company-specific requirements further. This will contribute to reduce costs in future offshore projects. Opsahl has represented GCE NODE in Standard Norway’s work to standardize the petroleum sector. Different expert groups are responsible for the ongoing efforts to implement and improve standards for Standard Norway. These groups are vital links between the standardizing body and those who uses standards. It is important to have NODE companies present when standards for the petroleum industry are modified or even created. “I would like to credit Ruud and Opsahl – and their respective companies, NOV and MHWirth – for contributing to this change in regulations, but also for their efforts to standardize equipment and reduce company-specific requirements. The latter is a huge cost-driving factor, which should be avoided,” says Leif Haukom, Head of GCE NODE Standards Committee. “I would like to see regulations for mobile installations be harmonized with regulations for fixed installations. That would be another step in the right direction,” says Ruud. “We need to get rid of even more NORSOK standards. They should be implemented in international standards, and thus become superfluous,” says Opsahl. GCE NODE will host a mini-seminar this spring to inform about work-in-progress and achievements already made in the standardization sector.